According to the CIA World Factbook, there are 41,820 airports around the world, but not all are created equal, as every investor knows. As the global economy shifts to the East, it’s little wonder that four of the largest airports by the number of passengers carried are located in Asia: Bejing (PEK), Tokyo (HND), Hong Kong (HKG) and Shanghai (PVG). Gediminas Ziemelis, Chairman of the Board at Avia Solutions Group, shares tips useful to anyone dreaming of repeating the success story of these hubs. At the moment, there are more than 20 airports under construction across the world. No coincidence that more than half are located in Asia. Demographic reasons aside, investors typically see airports as part of an asset portfolio, rather than an isolated opportunity. In this sense, Asia is currently on top because of its unprecedented investment into infrastructure. 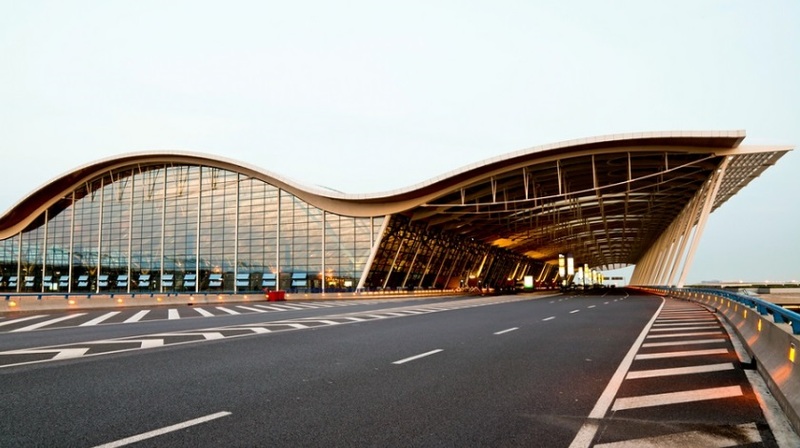 State-of-the-art buildings, almost light-speed railway connections and access to multimillion markets have turned many Asian cosmopolises into exceptionally attractive aviation hubs. Nevertheless, industry experts as well as most air passengers have noted, that in terms of efficient management, many Asian airports, especially those in the rapidly developing countries, are, gently put, still lagging behind. According to Gediminas Ziemelis, Chairman of the Board at Avia Solutions Group, other regions, which have an unmet demand or potentially high ROI, are also worthy of investors’ attention. Take, for instance, more remote areas in industrialized countries with governments eager to boost economic development. “Around 5 years ago we invested in the development of the fourth airport in the Moscow region. At the time, the Moscow aviation hub was struggling to cope with the passenger load, and, according to all forecasts, passenger traffic was on the rise. Despite the global economic crisis, which had a significant impact on all airports, we continue to successfully implement the sustainable development of this airport. This shows that sometimes, given the right circumstances, daring to enter the markets somewhat unappealing to other investors – whether based on risks associated to a path unexplored or by cultural-economic reasons – can make you a true winner,” claims Gediminas Ziemelis. Human resources account for a large part of airport expenditures. Moreover, as most airports are located outside of city limits, hiring staff can be a bit pricier, as people need additional incentive to commute. So, needless to say, raising workplace efficiency in the airport is no less important than in any other sector out there. Luckily, innovative IT solutions can make a real difference and save airports a considerable amount of money. According to 2017 Air Transport IT Trends Insights report by SITA, airports and airlines will spend close to USD 33 billion on IT this year. Whether it is cloud technology or self-service – investors should seek out the most efficient technologies in the field of automated solutions in every step of airport management – from boarding and ground handling, to stock forecasting and modelling of seasonal staff demand. And passengers want fast and hassle-free service. According to SITA, 54% of passengers would rather use self-bag drop than a face-to-face interaction with an airport worker, 57% would agree to an extended use of biometrics, if only it helps to speed up the process. Speedier service means that more routes can be served at a time which can significantly increase airport revenues. IT solutions can also significantly contribute to boosting income from non-aviation related services, too. For instance, more than 10 years ago Manchester airport introduced a Customer Relationship Management (CRM) system as well as touch-screen public information stations, modern eSales application and an updated ground transport interchange. It allowed the airport to record customer behaviour, tailor their offers to meet particular client needs and develop a much tighter relationship with passengers. “One of our Group’s companies, Baltic Ground Services, uses a modern web-based and cloud-enabled operation management solution for airports and ground handling operators. Such systems are especially handy when it comes to simplifying operations in airport operation units. However, they are also of great use when optimizing a single service, too. For instance, the one that we use features easy planning, real-time event management and access to historical activity data. Moreover, it provides a quick switch between multiple stations or airports, the possibility to assign various task appointments to responsible staff, operational data analysis, user-friendly interface, etc. In fact, I see no successful airport operating without such technologies in the near future,” commented Gediminas Ziemelis. Long gone are the days when an airport was the place to arrive several hours prior to check-in and minutes to spend after claiming one’s baggage following touch down. Nowadays, airports are where millions of people spend hours or even days in-between flights. Decent airport hotels as well as countless retail and catering facilities are no longer something that will automatically make an airport stand out. After all, it has become an industry standard. According to Gediminas Ziemelis, the newest trend is to position an airport as a shopping destination which would be attractive not only to passengers, but also to local public seeking to spend time and money. According to research made back in 2015, an average air passenger in a British airport spends more than 50 British pounds (upwards of USD 70) on non-aviation related services (food, drinks, magazines, etc.). Taking into account that such an airport as Gatwick is visited by more than 40 million passengers per year, its annual income from non-aviation services tops 2 billion British pounds, or USD 2.7 billion! “The new model should somewhat enforce a shift from the model of “a shopping heaven in the airport” to “an airport in a shopping heaven”. Moreover, a lot more focus should be placed on the shoppers’ experience. The latest research shows that satisfied passengers are twice as likely to shop and as much as 7% more on retail and 10% more on duty free products,” says Gediminas Ziemelis. Meanwhile, selling all kinds of goods at modern airports is no news to anyone. However, if things are good, it doesn’t mean that they cannot be even better. According to Gediminas Ziemelis, whilst most modern airports have invested a considerable amount of money into determining the best allocation of airport stores and catering facilities, few have been following the latest changes in consumer behaviour. “For instance, nowadays many passengers are counting every second and thus the added speed which can be granted by automated payments via specialized checkout machines is something truly worth looking into,” says Gediminas Ziemelis.